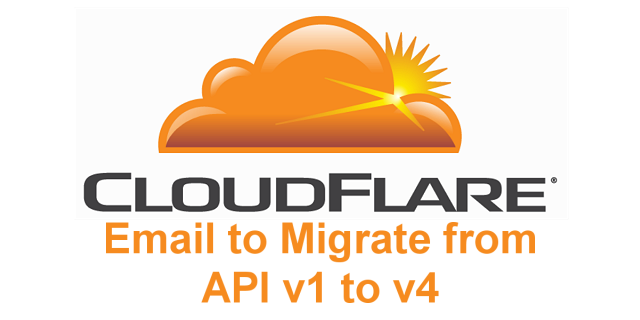 If you’ve been confused by an email from CloudFlare advising that you should migrate your API version, you’re not alone. Here’s what it means and what you should do about it. If you have the CloudFlare plugin installed to resolve visiting IP addresses back to the original (instead of all traffic looking like it’s coming from CloudFlare), then you may get an email from them. It advises you that you’re running API v1 and that you should migrate to v4 (version 4). You may get this email even if your CloudFlare plugin is up to date. All that geek speak in the email and on the linked pages it suggests you visit for more info is only for developers and hosts that integrate with CloudFlare in some way. End users don’t need to do anything. I contacted CloudFlare support, which is super responsive, even on the free version. I asked what all this was about. Once they confirmed that the info was for devs, not end users, I told them how confusing it was for site owners to be sent such notices. I also told them how much it was costing me in free support emails to tell clients not to worry about it. They said in the next plugin update, they’ll turn the notification trigger off. So, you shouldn’t be seeing them anymore. You can find more info about why CloudFlare is sunsetting API v1 on their blog post from May 2016. CloudFlare is a fantastic service that helps protect and speed up your site. Ask me about setting it up correctly on your site.